English, Japanese, German, French, Spanish, Dutch, Polish and Bulgarian. 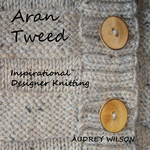 A designer knitting pattern for a Twist Rib Tee Sweater. A very easy knitting pattern for a Baby Chunky Hooded Wrap. Quick to knit on big 12mm knitting needles to create a lightweight Summer sweater using Aran/Worsted Weight Cotton/ Acrylic Yarn. A very easy knitting pattern. A very easy knitting pattern for a Chunky Shawl Collared Cardigan. A very quick and easy knitting pattern for an Aran Beanie Pom Pom Hat. A very quick and easy knitting pattern for a unisex Cloche/Beanie Hat. A very quick and easy knitting pattern for a unisex Beanie Hat. Baby blanket for a tiny bump, work in progress!! A very easy knitting pattern for an Aran Cable Pom Pom, Beanie Hat. A very easy designer knitting pattern for a Linen and Lace Tee Sweater. A very easy knitting pattern for a beautiful Cable and Rib Aran Sweater. Written for two methods of make. A very quick and easy knitting pattern. A very easy, new design. This fabulous knitting pattern is designed for the new to knitting. If you have just learnt ‘How to Knit’, or can only knit garter stitch, knit every row, this knitting pattern for an ‘On Trend’ shawl is a perfect first project for you! A versatile, original, designer hand knitting pattern for an Aran Cable Scarf in 3 sizes and a stunning Blanket Throw. Four knitting patterns in one. A very easy knitting pattern for a simple baby sweater. Knit in Stocking Stitch using Baby DK yarn with the option to embroider the Baby Bear. A very easy knitting pattern for a Pom Pom Hat or a Beanie (without the Pom Pom). A very easy designer knitting pattern. Suitable for the new to knitting, or the experienced knitter who would like a quick and easy knitting pattern. This fabulous ‘On Trend’ knitting pattern for an Aran Cable Cowl will make a great disguise for all those major and minor ‘Celebrities’ amongst us wanting to avoid recognition on the ski slopes or when in more general ‘walk about’ mode round and about this winter. This versatile Cable Cowl can also be worn as a hood. Knit in one piece with just one ball of yarn in work at any one time. The work is joined in sections. Join as you go! Made for fun these cute little birds are just too sweet to ‘Tweet’. A very quick and easy crochet pattern for a perfect summer project. The Aran Brioche Infinity Cowl is knit flat on 10mm (US15) Knitting Needles using just 400 Grams, approx 750 yards of Aran/Worsted weight yarn. A very easy knitting pattern, perfect for the beginner. A very quick and easy knitting pattern for a Chunky Rib Pom Pom, Bobble Hat. A quick and easy knitting pattern, perfect for the new to knitting (If you can cast on, knit, purl, increase, decrease and cast off, you can knit this beautiful Baby Bow Peep Cardigan). A very easy, quick to knit, designer hand knitting pattern. Suitable for the new to knitting, or the more experienced knitter who would like a quick and easy pattern. It looks like it’s going to be a summer of Chevrons ♥. One Size designed to fit a 46cm 18in x 46cm 18in Square Cushion/ Pillow Pad. These fabulous Christmas Tree Decorations make beautiful decorated snowballs combining Holly Leaves, Berries and Bows. A very easy designer hand knitting pattern. Suitable for the new to knitting, or the experienced knitter who would like a quick and easy knitting pattern. A very quick one ball knitting project. A really easy knitting pattern. Perfect first project for those new to knitting and a lovely simple, quick, project for the more experienced knitter. This is a very quick and easy knitting pattern. Designed to fit ages: 1-2 years, 2-3 years, 3-4 years. A very easy, perfect, first crochet pattern, originally designed and written for the beginners crochet class. A quick and very easy pattern, perfect for the new to knitting (If you can cast on, knit, increase, decrease and cast off, you can knit this beautiful one piece Baby Cardigan). This pattern was written for friends at the Womens Institute who are knitting a blanket for charity. A small scented Hounds Tooth Pin Cushion. A quick and very easy pattern, perfect for the new to knitting. If you can cast on, knit, increase, decrease and cast off, you can knit this beautiful Baby Wrap and Roll Blanket. This brightly coloured Little Bunny Egg Cosy is so easy to make. Using very basic knitting. Cast on, Knit, Purl, decrease and cast off. This brightly coloured Little Chick Egg Cosy is so easy to make. Using very basic knitting. Cast on, Knit, Purl, decrease and cast off. Basic two-colour Fair Isle requires no new techniques beyond basic stocking stitch. At each stitch, there are two available “active” colours of yarn; one is drawn through to make the stitch, and the other is simply held behind the piece, carried as a loose strand of yarn behind the just-made stitch. A very quick and easy pattern for a really warm Fur Head Band. Ear Warmer. A quick and very easy knitting pattern, perfect for the new to knitting (If you can cast on, knit, increase, decrease and cast off, you can knit this beautiful Baby/Toddler Cardigan). Using Garter Stitch (Knit every row) it creates a reversible knit and the pattern can be knit for either a girl or a boy. This fabulous new design is so versatile, quick and easy to knit. Wear as a cowl, as a scarf, or a neck warmer. A very quick and easy knitting pattern for a Unisex Aran Hat. Partially knit flat and partially knit in the round. Inspired by Kelims and old woven textiles. Using geometric designs and rich sources of colour and pattern. Kelim designs are quite large and lend themselves to intarsia, but, I wanted to try and translate the designs into a simplified fair isle, stranded design. A very easy pattern for a Baby Boy Cardigan. One of a series of four gorgeous little Christmas Santa Bags/Sacks designed as an alternative to a Christmas Stocking. One of a series of three gorgeous little Christmas Santa Bags/Sacks designed as an alternative to a Christmas Stocking. This fabulous new design is so versatile. Wear as a cowl, a hood or as a neck warmer. A quick and very easy pattern, perfect for the new to knitting (If you can cast on, knit, purl and cast off, you can knit this beautiful Baby Wrap and Cuddle Cardigan). Knit in one piece on 4mm (UK8-USA6) knitting needles. Using just 100 grams of Baby Soft D.K. yarn. Knit in the round on 4 x 4 mm (US6) double pointed knitting needles. This fabulous tea cosy is designed to fit a standard 2 pint tea pot measuring 46cm. 18in circumference x 12cm. 5in. height. A perfect, very easy pattern for those new to knitting. Knit in Garter Stitch (Every row knit) and Stocking Stitch. Knit in Baby Soft D.K. Yarn on 4mm (UK8-USA6) knitting needles and 3.25mm (UK10-USA3) knitting needles. Made for fun and a great first knitting project. Designed this baby cardigan for my first grandchild. WIP!! We don’t yet know if it’s a boy or a girl and knitting decisions have been a small problem! So it had to be Buttons or Bows! The same pattern for both designs and the final decision to fasten with a button or a bow will be made on the day of delivery!! Newborn Baby Socks knit in the round on 4 double pointed knitting needles. These beautiful little socks take very yarn and can be knit in Baby soft D.K. cotton or a D.K. yarn of choice. Perfect stash busters and a lovely gift for the newborn baby. A brand new ‘On Trend’ very easy knitting pattern for a Cowl, Scarf and Neck Warmer. It’s all of these! A perfect pattern for those new to knitting, those who want an ‘On trend’ pillow/cushion and those of us that like a quick knit and fast result. Basic two-colour Fair Isle requires no new techniques beyond the basic knit stitch. (The purl stitch is not used.) At each knit stitch, there are two available “active” colours of yarn; one is drawn through to make the knit stitch, and the other is simply held behind the piece, carried as a loose strand of yarn behind the just-made stitch. This has to be the easiest and quickest pattern to knit. It’s a perfect pattern for those new to knitting, those who want an ‘On trend’ pillow and those of us that like a quick knit and fast result. Well….I know it’s still very early…and Christmas is still ages away…but….a girls got to get her act together!! So I decided to plan Christmas early and think of presents for all my arty crafty friends. This fabulous design can be worn as a hat or a snood. The pattern takes just 100grams of Cotton D.K yarn. Stripes and Frills Baby Cardigan designed by Audrey Wilson in Baby Soft Cotton D.K.Yarn. A quick and very easy pattern, perfect for the new to knitting (If you can cast on, knit, increase and cast off, you can knit this beautiful Baby Hooded Wrap Cardigan). These fabulous little baby socks are very quick to knit and use a very small quantity of Baby Soft D.K. Perfect for using up some of the stash. Well….I know it’s only September…and Christmas is ages away…but….a girls got to get her act together!! So I decided to plan Christmas early and think of presents for all my arty crafty friends. This little chap takes just 100 grams of Cotton D.K. The pattern is written for a right handed oven glove, but can also be interpreted for a left handed oven glove by working the thumb increase on the opposite edge. This fabulous lemon blossom cupcake pin cushion was designed to compliment my lemon tea cosy, but, has now turned into a pin cushion to keep all my sewing needles to hand. This fabulous chocolate cupcake pin cushion was designed to compliment my chocolate cupcake tea cosy, but, has now turned into a pin cushion to keep all my sewing needles to hand. These cute soft hearts are very quick and simple to make. They meas 4” x 4” finished. This fabulous bunny came about after I’d designed and made the egg cosy’s for the Easter workshop. He measures 12” in length and takes very little yarn. He’s also very quick to knit! This fabulous Gingham scented heart is the perfect gift for Mothers Day. The pattern is written and charted, making it quick and simple to knit. Each heart takes a tiny amount of yarn over 3 colours. We used Deep Pink, Pale Pink and White to create the Gingham. You can use any combination of tones to achieve the same effect! This fabulous knitted Leopard Cushion Cover was specifically designed for a Knitterartti interior photo shoot. The pattern is in graph form with written and graph instructions for hand knitting. The original sample was knit on a Knitmaster 360 knitting machine, with the graph for the 24 stitch punch card included in the pattern instructions. This fabulous Shabby Chic Fair Isle Floral Heart takes very little yarn. Very quick to knit. The pattern is written and charted. This Easter Bunny egg cosy takes very little yarn and is really quick and easy to knit. Perfect, boiled eggs for breakfast on Easter Sunday. Knit one for every member of the family and serve up for breakfast before the traditional Easter Egg hunt. We all need a project bag to keep our work in progress,yarns and needles. What could be better than making your own. This design requires skills in knitting and basic sewing. Cotton Small scented cushions. Lavender, Rose and Pine. A very easy pattern for a really warm and ‘On Trend’ Beanie Hat. This fabulous new design is so versatile. These fabulous socks take very little yarn. We use this very simple wrist warmer pattern at our ‘How to Knit’ workshops. It’s a perfect pattern for a first attempt at knitting in the round with a very quick result. This fabulous Chocolate Cupcake Tea Cosy pattern was inspired by the vast quantities of cupcakes consummed during our knitting workshops and designed for our next workshop in November. This cosy Wrap, Scarf, Afghan, Blanket pattern is so versatile. Millicent and Montgomery Mouse originally started life as The Sugar Mice. During the design process they took on their own individual personalities, so we named them! Next Winters must have Designer Hat. Straight from the Autumn Winter 2010 Catwalk shows. So versatile it can be worn in four different ways to go with any outfit. A new and ‘Very Easy’ pattern from Audrey Wilson at The Design Studio for the Little Boy in your life. This fabulous new design is so versatile. Wear as a cowl, a hood, as a scarf, or a wrap. A fabulous new Hat for Autumn Winter 2010. Straight from the Knitterartti designer catwalk show. This beautiful designer cardigan is perfect for the little baby boy or baby girl in your life. Knitterartti’s New Designer Bed Socks. To fit chest sizes: 16”:18”:20”:22”:24”:26”. This Beautiful Little Baby Pink Cardigan is perfect for the Newborn baby. A knitting pattern for two pairs of Newborn Baby Shoes in Garter Stitch. Takes less then 50 grams of 4 ply yarn per pair of shoes. Knit from the bottom up, this sweater starts with a 2 x 2 rib and then begins a rib and tulip cable. To fit chest sizes: 14”:16”:18”:20”:22”:24”. A very easy pattern. Cartridge stitch is basicly horizontal stripes of stocking stitch and reverse stocking stitch. To fit chest sizes: 14”:16”:18”:20”:22”:24”:26”. A very easy pattern for ages 1-12 years. A very easy pattern, designed with the less experienced knitter in mind. Knit on 4 x 4mm DPN needles in the round to Armhole. Then transfer onto 2 x 4mm Needles.